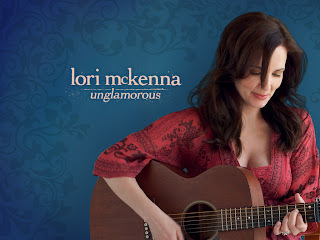 Lyrical Venus » Lori McKenna’s Unglamorous Now Available! 08.15Lori McKenna’s Unglamorous Now Available! It’s been out since yesterday, but I just downloaded my copy from iTunes tonight. Came with a bonus track and digital booklet. Unglamorous is definitely more polished/produced sounding than her previous stuff, but it’s still Lori. I’m pretty curious to know how many songs are autobiographical and how many are just her ability to sing the stories of others with raw honesty and believability. Cuz some of the stories are a bit, well, dark? Heavy? I mean, they’re REAL, but I just hope they didn’t ALL happen to her, that’d be a lot for one person to go through! While it’s heartbreaking to think it, I suppose it could be the reality for someone though. And hearing Lori’s album might give them hope, let them know they are not alone. While I don’t personally relate to the songs about drinking and cheating, I’ve definitely had the experience of gaining hope from a sad song (rather than getting depressed by it). Whether the songs happened to Lori or not, she is someone highly observant and able to compress human experiences into little Polaroid snapshots of sound that tell it like it is, and that’s what I love about her songwriting. 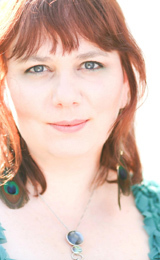 I just found this great Lori interview from a couple years ago where she says her husband only listens to the music, not the words – so she can say what she wants and he won’t get mad. heh heh.